We get it. Inspecting your property’s roof probably isn’t at the top of your daily to-do list, but it is something you should consider doing on a more regular basis. Your property’s roof deals with a whole lot, such as everyday exposure to harsh weather, so you want to catch any roofing issues or problems before they get the chance to get out of hand. At HomeTown Roofing, we offer a variety of roofing services to the Dallas area, including roof inspections. Our team of roofers has continuously scored an A+ Rating from the Better Business Bureau — contact us today for more information about our roofing services! In this blog, we’ll go over a few of the key points you should consider when inspecting your property’s roof. Determine a good time to inspect. The National Roofing Contractors Association recommends that you should inspect your roof at least twice a year. The most common times that property owners inspect their roofs are during the springtime and right before winter hits. Spring is a great time to prepare your roof for the extreme summer heat, which takes a toll on your roof’s materials. You’re probably already in your spring cleaning mode, and your local roofer will already be hitting up other homes in your neighborhood — why not join? Winter is another brutal time for weather, as it is usually is accompanied by rain, snow and other cold weather. By inspecting your roof before that cold weather hits, you’ll make sure your property is safe from any potential damages. Check for any interior and exterior damages. 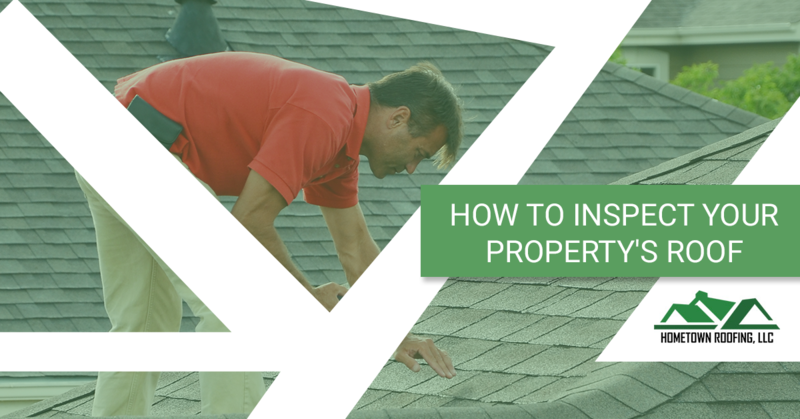 Inspecting your roof isn’t solely an external job — it’s internal as well. To properly conduct a roof inspection, you need to check out the rooms inside of your property just as much as you need to check the outside. Here are the key points you need to check out when you are performing a roof inspection yourself. Inside of your home, you’ll want to inspect your ceilings and walls for any water stains or leaks. If you notice any, chances are you’ll need to immediately repair your roof, as your roof is intended to keep water out! If you don’t take immediate action, those water stains and leaks could transform into mold and mildew, which can decrease the overall value of your property. Plus, it’s pretty gross. Roof Coverings: Roof coverings include everything from tile to asphalt shingles. You’ll want to check these for any damages, and replace any missing ones or ones that appear broken or loose. Flashings: Your roof’s flashing is the material that is used to prevent water damage. If this part of your roof is broken, you’ll likely get a leak when it rains or snows outside. Chimney: Inspect the flashing and mortar joints of your chimney for any cracks or holes. This causes leaking, which you obviously want to avoid. We also suggest that you check your attic, if you have one, as well as any additional roof penetrations or roof drainage systems. Get professional help if you notice any damages. The more you do to keep your property’s roof clean and the more often you inspect your roof, the longer it’ll last. If you notice that you’re experiencing any troubles with your roof, get those problems fixed as soon as you can! This can save you thousands of dollars in the long run, plus it’ll keep your property safe when inclement weather does inevitably make its way to town. Also, if you don’t feel comfortable performing your roof inspection yourself, that’s totally fine! 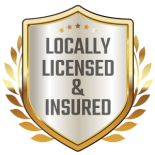 Our roofers at HomeTown Roofing are specifically trained on what to look for, and we are more than happy to help! Choose HomeTown Roofing As Your Go-To Roofing Inspector! 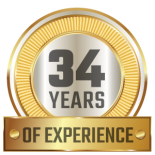 At HomeTown Roofing, our roofers combined have more than 34 years of experience, and we’ve proudly served the Dallas/Fort Worth area since 2003. We offer high-quality roofing work, and our goal is to constantly give back to our community. 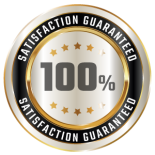 Trust us with your next roofing or general contracting job and we promise to do what is best for your safety! For more information about us or if you have any further questions, feel free to reach out to our team! You can call us at (888) 368-1621 or fill out our online form today!